The Dolphins' leading rusher was limited in practice once again this week with a pectoral injury. We break down the fantasy implications. Miami Dolphins running back Lamar Miller was limited for the second straight day of practice due to a pectoral injury. The Dolphins are suddenly thinner at running back after rolling with a committee approach for much of the season with Miller and backup Daniel Thomas. Thomas is expected to miss his second straight game with an ankle injury, though Miller is not in any danger of missing Week 14's bout with the Pittsburgh Steelers on Sunday. Fantasy Spin: The main bullet point for fantasy owners to take away from all of this is the fact that Thomas is out of commission, once again paving the way for Miller to be featured. A true test comes Miller's way on Sunday versus a Steelers defense that has suddenly clamped down on runners, allowing an average of 3.7 yards per carry and just one touchdown over the past four weeks. Despite that, with Miller in line to receive 15-20 touches, fantasy owners could do far worse than him as a flex option against a team that has given up 12 rushing touchdowns to running backs this season despite its recent hot streak. Miller remains a fringe RB2/RB3 with upside. 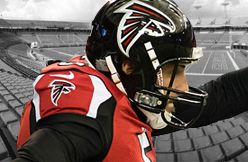 FLOWERY BRANCH -- Falcons punter Matt Bosher is having a strong season, but nine of his 12 games this season have been indoors. He could impress Pro Bowl voters with a strong outdoor outing when the Falcons (3-9) face the Packers (5-6-1) at 1 p.m. Sunday at Lambeau Field. Bosher has averaged 46.0 yards on 48 punts and has a net average of 40.3, which ranks tied for seventh in the NFC behind St. Louis’ Johnny Hekker (44.0), New Orleans’ Thomas Morstead (43.0), San Francisco’s Andy Lee (42.9), Detroit’s Sam Martin (41.5), Philadelphia’s Donnie Jones (41.2) and Carolina’s Brad Nortman (40.7). Morstead was the NFC’s Pro Bowl punter last season. Ed Reed was cut by the Texans after half a season of ineffective play, and he hasn’t exactly drawn rave reviews in his first couple of games with the Jets. But Reed says anyone who thinks he has nothing left is wrong. Reed said today that the judgments of fans and the media don’t interest him, and he knows from watching himself and watching other NFL safeties that he can still play at a high level. Reed also said he wants to play for two more years after this season, and only retire after 2015. If that’s the case, Reed had better hope Rex Ryan’s job is safe with the Jets. Because Ryan may be the only coach left who still wants Reed to be a part of his defense. 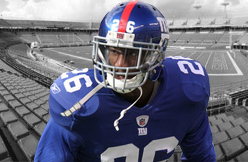 EAST RUTHERFORD, N.J. -- New York Giants middle linebacker Jon Beason seems to be turning a walk-year into a big contract. 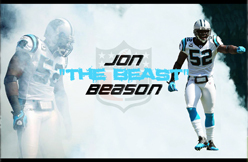 Acquired from the Carolina Panthers in a midseason trade amid speculation that he might be damaged goods, Beason has not only shown there is still a lot in his tank, the seven-year veteran has become the glue that has helped turn around a struggling defense. Since Beason replaced Mark Herzlich at middle linebacker against Chicago on Oct. 10, the Giants (5-7) have won five of seven games and been competitive in the other two. The 28-year-old linebacker tied his career high with 17 tackles in a 24-17 win over the Washington Redskins on Sunday night. With 57 total tackles, he's third on the team, just 10 behind team leader Antrel Rolle, who has played in four more games. "He has been a great voice for us," defensive coordinator Perry Fewell said Thursday after the team practiced for Sunday's game in San Diego against the Chargers (5-7). "On the defense you don't think you need a quarterback, but you need a quarterback, someone who can go in and command the front and relate to the back row. Jon has been able to do that. He is very good at understanding situations and being able to talk to all his defensive players and play the game at a fast tempo." What makes Beason's adjustment so exception is that he came to the Giants in midseason with no knowledge of their system. Within a couple of weeks, he was running the show and making all the calls. The one problem for the Giants is that Beason has one year left on a renegotiated contract that will pay him $1 million this season. He becomes a free agent at the end of the year unless the Giants re-sign him. 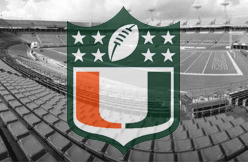 Drew Rosenhaus, Beason's agent, said in an email to The Associated Press on Thursday that he could not discuss whether he is in talks with the team about retaining the former University of Miami player. Coach Tom Coughlin brushed aside the topic of next year on Thursday, saying he is focused on this week. Given a choice, Beason would like to stay, adding he'll worry about next year down the road. "I am enjoying it," Beason said. "The team has welcomed me. I like the city. We're winning, we're trending upward. I think we are going to be a scary team that next year, or if we get help this year and get in the dance, we can do some things. For me, this is where I want to be. All I can control is my performance and the team will do what is best for the team." Most of the Giants didn't know what to expect when general manager Jerry Reese made the deal for Beason, who missed most of the past two seasons with an Achilles' tendon injury, shoulder and knee injuries. He had lost his starting job to Luke Kuechly and was on the Panthers' bench when the trade was made. Giants cornerback Terrell Thomas thought that former Giants executive and current Panthers general manager Dave Gettleman was helping out his old team by getting rid of a former starter. Teammates discovered that Beason was a passionate leader who was humble asking questions and confident in expressing his own opinion. On the field, he is playmaker. "He is just a rabbit to chase," defensive end Mathias Kiwanuka said. "You watch him out there and he goes HARD on every single play. It forces everyone out there to raise their level." "Since he has been here he has been the total package for us at linebacker," defensive tackle Cullen Jenkins added. "He has certainly helped us out a lot. He play reckless out there, You can't tell he is coming off an injury. Looking at the way he plays, you would never know." The Giants have given up just over 16 points a game since Beason became a starter, but 42 of those points were the result of mistakes by the Giants' offense and special teams. "I love the game and given a chance to play, it excites me, always," Beason said. "I am always going to do whatever it takes, and it has gone well so far." 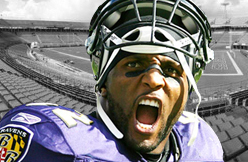 Ray Lewis is still a BEAST in the NFL ... at least when it comes to jersey sales, 'cause despite the fact he's retired, his uni is still selling better than Eli Manning and a bunch of other active studs, TMZ Sports has learned. According to the NFL Team Shop, Ray's Baltimore Ravens jersey was the 11th best-selling jersey from April 1st to September 30th ... beating out the 2x Super Bowl MVP, who clocked in at number 12. Ray's #52 is also selling better than Seahawks RB Marshawn Lynch (18th) and Eagles stud LeSean McCoy (25th). In fact, Ray's just BAAARELY getting beat out by Saints QB Drew Brees ... who wears the 10th best selling jersey in the league. So, who's #1?? That honor goes to Colin Kaepernick ... followed by Peyton Manning, Russell Wilson and Adrien Peterson (who will face the Lewis-less Ravens this Sunday). 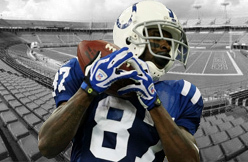 INDIANAPOLIS — The Indianapolis Colts aren't the same team without Reggie Wayne. In the five games since Wayne tore his right ACL against the Denver Broncos, Indianapolis is averaging 19.6 points. In the seven games Wayne played, the Colts averaged 26.7 points. The offensive line has failed to protect quarterback Andrew Luck. T.Y. Hilton, the new No. 1 receiver, is adjusting to being double teamed, and the other receivers haven't made up the difference. Indy's offense hit rock bottom in a 38-8 loss to St. Louis on Nov. 10 and a 40-11 loss at Arizona on Nov. 24. Though the group hasn't looked like the one that derailed Denver earlier this season, Indianapolis has won three of five since Wayne's injury. Indianapolis (8-4) can wrap up the AFC South title with a victory Sunday at Cincinnati. "As of late, we've been like the Rocky Balboa of the National Football League," Colts offensive coordinator Pep Hamilton said. "We get bloodied up, but we find a way to finish on top." It's questionable whether that approach will work in the playoffs. The Colts have been particularly bad in the first half. In the five games without Wayne, Indianapolis has scored 24 points before halftime. The Colts have scored 75 points after the break in those games. "We have our moments where we're hot and we're able to move the ball and we're able to score touchdowns," Hamilton said. "We've got to make it a point of emphasis, as we always have, to find a way to get started a lot faster." Darrius Heyward-Bey, who was supposed to fill some of Wayne's productivity, has struggled with drops. Despite starting four of five games since Wayne's injury, Heyward-Bey has just nine catches for 96 yards during that stretch. Heyward-Bey's troubles are starting to affect Hilton's production. In the first two games after Wayne's injury, Hilton caught 14 passes for 251 yards and three touchdowns. In the next three games, he caught 15 passes for 128 yards and no scores. With no other viable outside threat, teams are more focused on Hilton. "T.Y. is still a very effective receiver for us," Hamilton said. "They've started to double-team him more. I've got to do a better job of moving T.Y. around and making sure we find creative ways to get him in space." Luck has tried to compensate for Wayne's absence at times by holding the ball too long. He has been sacked 14 times in the past five games after being sacked 15 times in the first seven. Before Wayne's injury, Luck was completing 61 percent of his passes and had 10 touchdown passes and three interceptions. Since the injury, he's completing 55 percent with five touchdowns and five interceptions. Luck accepts his share of the blame for the way the offense has played. "Oh yeah, I make my fair share of mistakes," Luck said. "It might not be as obvious to the common fan. Drops happen. Holdings happen. Pass interference happens. Not that it's ever excusable, but it's part of human error, part of playing any sport and doing anything I think." The running game has struggled so much that the Colts finally made Donald Brown the starting running back over Trent Richardson this past Sunday. Even with all the criticism, the Colts are coming off a 22-14 win over the Titans that put them in control of the AFC South. The Colts didn't score a touchdown against the Titans until Brown reached the end zone with 1:56 remaining, yet they were in position to win. "Again, we're never going to apologize for winning no matter how you get it done," Colts coach Chuck Pagano said. "Ugly, whatever you want to call it, a win is a win. It was critical. We all know the magnitude of that ball game. It was a game we had to get the win and get it done." Brown's late touchdown run against Tennessee capped an 11-play, 92-yard drive and left the Titans in desperation mode. It was a preview of what the Colts hope to accomplish for the rest of the season. "When you look at it, by the time you get to the fourth quarter of games, defenses are worn down a bit," Hamilton said. "That's what we're built for. We're built for the fourth quarter of the football season where defenses are tired and worn and playing with guys that are a bit hobbled and it's not as easy to take on double team blocks. That's our formula." That’s because Moss said he’s seen plenty of calls that would qualify. Moss drew a 15-yard penalty after being called for holding in Sunday’s 24-17 loss to the New York Giants. He directed his ire at the official. It sounded like Moss was not only upset with that call, but others that have – or haven’t – been made. Moss said he’s seen inconsistency with how officials call catches, whether in games involving the Redskins or others around the league. It hasn't been an easy season for Trent Richardson. Since being acquired by Indianapolis in a blockbuster trade with the Cleveland Browns, the second-year pro plodded to the tune of 2.8 yards per carry before the Colts benched him in favor of Donald Brown last week. Indy's front office has said it wouldn't hesitate swapping a first-round draft pick all over again for Richardson. And it's fair to wonder if a full offseason will help this player, especially after Richardson told Colts wide receiver Reggie Wayne he felt thrown into the fire after the swap. "He came to me, (but) he wasn't pouting or anything," Wayne told WNDE-AM on Tuesday, per StampedeBlue.com. "This was the next day after he found out he was demoted, and he said, 'Now I can sit back and actually watch the way it's supposed to be done.' He kind of feels that he was maybe forced into it early without actually learning it." Yes, Richardson was thrust into a starting role just days after the trade. Yes, he came from a Rob Chudzinski-led offense in Cleveland that stressed the pass and bore little resemblance to offensive coordinator Pep Hamilton's power-rushing scheme in Indy. Still, that was three months ago, and we have yet to see signs that Richardson is about to morph into a sustaining back. Prepare yourself for a long offseason of flowery reports declaring that "Trent Richardson looks amazing in OTAs." For a guy who has produced rushing totals of 20, 2, 22, 15 and 19 yards on the ground over the past five games, we'll need more than lively springtime reports of T-Rich blooming into what Indy hoped for. The Reign make two moves in one day. . sending Liz Bogus to Kansas City for draft picks and signing an American attacker on loan from a Japanese powerhouse. In the second move of the last few hours, the Reign have signed American attacking midfielder-slash-forward Beverly Goebel — who currentlyy plays for Japanese powerhouse INAC Kobe Leonessa — on loan. In WPS, Goebel played for Western New York during their 2011 championship year. After the league collapsed she joined Kobe, who are a dominant force in the Japanese league and international club play. They won the domestic Nadeshiko league in 2013 (for the third year in a row) by 10 points, with Goebel winning the league Golden Boot. In international play, last season they were the runners-up in the IWCC (which is more or less an invitational Club World Cup for the women) and yesterday they beat Colo-Colo 3-0 in the semifinals of the 2013 edition with Goebel scoring their first goal. They face Chelsea in the final on Sunday. Goebel will join the league at the same time as Kobe teammate and fellow American Rebecca Moros, after the Reign dealt Moros' rights to Portland (along with Jess McDonald) for Danielle Foxhoven last week (yeah, they've been that busy). So among other things it's good to see the diaspora of American players who left after the WPS collapse coming back to join NWSL after it's proven itself for a year. On the field for Seattle, Goebel should be expected to play in the attacking midfield behind Sydney Leroux in a line with Kim Little and (eventually) Megan Rapinoe, which is. . yeah, it's good. It is an incredible transformation from the limited, cobbled together attack the team had in the 2013 season and coach and GM Laura Harvey should be commended for the relentless series of moves it took to get the team to this point. That's an attack that doesn't have a lot of room for Liz Bogus, who played forward and winger for the team last season. So it's understandable that in the earlier move of the day she was dealt to Kansas City to move up two places in the draft (from 17th to 15th) and get KC's third round pick in the 2015 draft. That's not a huge amount of value for a player that played 20 games for Seattle last year (mostly as a sub), but it clears room on the roster and on the salary books for an attack that should be dramatically more dangerous than last year's. 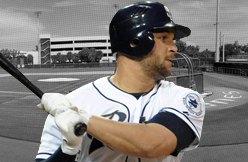 Yonder Alonso is swinging a bat again. Finally. That much was clear Wednesday afternoon as the Padres’ first baseman hosted more than two dozen kids from a local branch of the Boys & Girls Club of Greater San Diego at Petco Park. The 26-year-old Alonso treated the 4S Ranch children to lunch, a tour of the Padres’ clubhouse and led them through drills on the field and in the indoor batting cage. There, he demonstrated a smooth-left-handed swing that’s without pain for the first time since re-injuring his right hand on a checked swing in late August. Alonso was on pace for 18 homers and 87 RBIs through the first third of the season when a pitch struck him on the right hand, breaking a metacarpal bone and sapping much of his hand strength upon returning to the lineup after missing more than a month of action. The second injury to the hand on Aug. 30 limited Alonso to a pair of pinch-runner appearances the last weekend of the season in San Francisco after trainers had ruled out swinging a bat for the rest of the season. Time, of course, is now on Alonso’s side. Cleared to swing a bat again, Alonso said he is expected to ramp up baseball activities soon ahead of reporting for Spring Training in February when he’ll get acquainted with a few new teammates. He learned of the latest addition – Oakland outfielder Seth Smith in exchange for reliever Luke Gregerson – while attending the Major League Baseball’s Players Association meetings Tuesday in La Jolla with teammate Nick Hundley. The move caught both off-guard, Alonso said. Alonso, at the very least, appears to be on that track. Earlier Thursday, the Brewers dealt outfielder Norichika Aoki to the Royals, and as a result they'll shift slugger Ryan Braun from left field to Aoki's former primary position of right field. Tom Haudricourt of the Milwaukee Journal-Sentinel tweets that manager Ron Roenicke will soon finalize the move with Braun. Braun was a third baseman coming up through the minors and during his rookie season, so he has some arm strength. He was shifted to left field prior to the 2008 season, and his advanced numbers at the position show a general trend of improvement over the years. Braun, 30, is coming off a 2013 season in which he batted .298/.372/.498 with nine home runs in 253 at-bats. 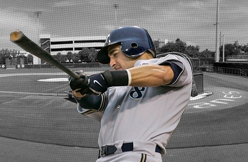 Braun missed the final 65 games of the season because of a Biogenesis-related suspension. For his career, he owns an OPS+ of 146. Braun led the NL in homers in 2012 and was named NL MVP in 2011. Miami Dolphins second-year defensive end Olivier Vernon was named the AFC Defensive Player of the Week for his dominant play against the New York Jets. 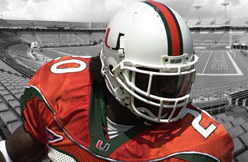 Vernon recorded a career-high 2.5 sacks and 10 tackles in Miami’s 23-3 victory over New York. The win put the Dolphins (6-6) back at .500 and keeps them in the race for the final wild-card spot in the AFC. Vernon leads the Dolphins with 10.0 sacks and has been one of the team’s biggest surprises this year. Gore (ankle) was limited in practice Wednesday, Matt Maiocco of CSN Bay Area reports. Gore has fallen into a consistent workload of 14-to-18 touches during the 49ers' last four games, posting 203 rushing yards, 39 receiving yards, and one touchdown. His 3.6 YPC during that stretch isn't far off his season mark of 4.0, but a return to normalcy may not come to pass against a Seahawks defense that held him to 16 yards on nine carries during their first meeting of the year. Jimmy Graham rank in the top 10 of NFL All-Stars in balloting for the 2014 Pro Bowl with three weeks left to vote, the NFL announced Wednesday. Graham has enjoyed one of the most prolific campaigns for a tight end in 2013, leading the team in receiving with 69 receptions for 988 yards (14.5 avg.) with a team-record 12 touchdowns, tied for the league lead. Leading tight ends in virtually every receiving category, tied for tenth in the NFL in receptions, ranked tenth in receiving yardage, tied for sixth in third down receptions (21), first in touchdown receptions and 17th in first downs (49). Players will later be assigned to teams through the first-ever Pro Bowl Draft, which will air on NFL Network during the week leading up to the game. The Pro Bowl players are determined by the consensus votes of fans, players and coaches. Each group’s vote counts one-third toward determining the 88 All-Star players who will be eligible for the Pro Bowl Draft. NFL players and coaches will cast their votes on December 23-26. The NFL is the only sports league that combines voting by fans, coaches and players to determine its all-star teams. It was the first professional sports league to offer online all-star voting in 1995. New Orleans Saints tight end Jimy Grahahm played the majority of snaps on Monday. We break down the fantasy implications. 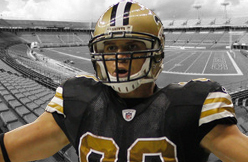 New Orleans Saints tight end Jimmy Graham seems to have moved on from his foot injuries for good. Graham played in 54 of New Orleans' 62 offensive snaps in the team's Week 13 Monday Night Football matchup against the Seattle Seahawks, according to Pro Football Focus. The Saints were getting blown out and had no hope of winning the game, which was clear early on. The field was also in a poor way, including slippery conditions. Despite all of this, Graham played and the Saints continued to try and get the ball to him. Graham had three catches for 42 yards and a touchdown, and was targeted nine times against the Seahawks. On the season, he has 68 receptions for 988 yards and 12 touchdowns. Fantasy Impact: It's good to see Graham getting a full slate of playing time despite the fact that the Saints were out of the game. Graham should rebound nicely against the Carolina Panthers in Week 14. Fantasy owners should still consider Graham the top tight end in fantasy football and it's likely he'll prove that a couple more times before the end of this fantasy football season. ASHBURN, Va. (AP) - Given a chance to endorse Mike Shanahan to return as coach of the Washington Redskins, Santana Moss and Robert Griffin III took very different approaches. Veteran receiver Moss gave a solid vote of confidence to the coach who has a 24-36 regular season record near the end of the fourth year of a five-year contract, while the young franchise quarterback's response was hardly campaign-speech material. "The grass ain't always greener," Moss said Wednesday. "I've always lived by that, learned from my father. At the end of the day, this is RG's second year, and it wasn't the second year that (any) of us hoped for. He had to deal with an offseason of just rehabbing and getting himself back, so you almost automatically got to feel that you have to give him another chance to really show that this offense can be ran the way it should be under him and these coaches." Griffin's answer was more circumspect. "Everyone's going to have an opinion," Griffin said. "And it's an outside opinion. ... Whenever you have a year like we're having, sitting at 3-9, we had higher hopes and higher expectations, people are going to try to sink the ship and our job is not to focus on that stuff." Pressed specifically for his opinion about the coaching staff and the future, Griffin replied: "I think these guys have a great future, and I love having them here, and that's all I can say." The difference could be attributed to a savvy 34-year-old knowing better than an upstart 23-year-old the best way to deal with potentially tricky questions, but Griffin's answer led to more questions, along the lines of "How would you describe your relationship with the coaches?" "Whenever you have competitors like us, losing can be tough," Griffin answered. "But at the end of the day, just like when I came in here, me, Coach, (offensive coordinator Kyle Shanahan) and all the rest of the coaches and all the rest of the players, we all want to win and that's a winning recipe, whether you do it on the field or not. So that's the way I look at it. We're all competitors. We all get heated at times, but at the end of the day, we all want to win." It can be argued that "we all want to win" is a pretty low baseline - after all, everyone wants to win - so Griffin was asked how much trust he has in the coaching staff. "At much as it can develop in a year-and-half, two-year span," Griffin said. "I haven't spent a lot of time here, obviously. I haven't spent a lot of time in the league, and it takes time to build that trust over time with a coach." Griffin will likely have to endure at least four more weeks of similar questions. The Redskins will be playing for pride in December with an eye on the future, and the much-analyzed Shanahan-Griffin dynamic will be front and center. Griffin had one of his better games of the season in Sunday's 24-17 loss to the New York Giants. He completed 16 of 17 passes in the first half, and his receivers dropped several passes in the second half. His passer rating topped 100 for only the fourth time this season. If Griffin can maintain that momentum this week against the Kansas City Chiefs - particularly if the Redskins pull off the win - it would temper the outside noise. "We were really clicking," Griffin said. "And we've just got to find a way to channel that for a whole game and not just for a half." When Mike Shanahan was asked about the relationship with his quarterback, the coach joked about why they don't spend time together at the local pub - "He doesn't drink," Shanahan said - and, more seriously, cited the importance of the coach-QB bond. "I think we've got a good relationship. ... I think it's always been good," Shanahan said. "I know some of the things I read (say) it's not always that good, but I've always felt it's been good." After the Redskins lost two straight at home — running their home mark under Mike Shanahan to 11-20, if you include the playoffs — several local sports-talk shows talked about Washington’s apparent lack of a home-field advantage. 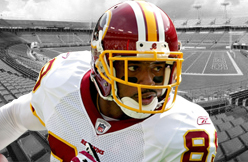 Chad Dukes brought the question to Santana Moss on Tuesday, during the latter’s weekly appearance on 106.7 The Fan. Dukes mentioned how you could hear Giants fans chanting “De-Fense,” and cheering for Victor Cruz on Sunday night. After a pause, the veteran wide receiver said this. “You know, I try not to let that bother what I have to go out and do — for all the years that I’ve been here — because you do worry about that at times,” he said. “I hate seeing the other team tailgating, and they’re flicking you off, and you’re home. You know, I can take it when I go away, because that’s what it’s supposed to be. I hate when their team is in the game and you just hear [visiting fans] more. I hate all that stuff. “I hate to be on the cold side of the field, and the other team has the sun on their side. I hate a lot of that stuff about what goes on. But at the end of the day, I try not to let that be about what we do out there on the field, because our job is bigger than that. I disagreed with Ahmad Brooks when he said Robert Griffin III didn’t look like he should be playing. That was silly. I don’t have a problem with what New York Giants safety Antrel Rolle said when it comes to how many hits Griffin is taking. "I think that guy takes too many brutal hits. As far as whether he gets hit going out of bounds, whether he's causing himself to hit the ground extremely hard or whether he's just getting hit by opponents, he does take a lot of hits," Rolle said on SportsNet New York. The main reason I don't have a problem with that statement? One question I heard from NFL people before the 2012 draft centered on Griffin’s durability. They knew his legs would be an important weapon; they also knew he was not a big guy like Andrew Luck or Cam Newton, and that it would be tough to withstand so many hits, regardless if he stood in the pocket or ran. The Redskins can continue to run the zone read option as part of their offense (as the passing game develops, it should be a smaller part of the offense). And it should be noted that of the hard hits he took Sunday night, none came from the zone read runs (six hits on these runs, though three were shoves out of bounds). It should also be noted that a constant storyline the past two seasons in Indianapolis has been the hits taken by Luck. But he's not coming off a second torn ACL, so Griffin's health clearly is more under the microscope. But as others have said, some of the hits just look worse than they do for other quarterbacks. Still, it must comfort him to know how many players -- and media -- care about his health or whether he should be playing. Thing is, Sunday night, Griffin did a better job early of avoiding hits by checking down passes or flipping to a receiver or running back instead of running himself (11 of the 16 hits, of various degrees, occurred in the first half). He started upfield on one run only to flip to running back Alfred Morris for a five-yard gain. Had Griffin continued, he might have gained the same yards, but he also would have been hit. Later in the game, he ran a triple option and instead of cutting upfield he pitched to receiver Santana Moss, who weaved his way for 10 yards. There were other times Griffin had enough vision on his runs to bounce them outside rather than cut inside where extra yards were available, but, so too was danger in the form of a hard-charging defender. Griffin remains a work in progress in the pocket, like most young quarterbacks. He knows he can make plays with his legs so there are times he'll hold the ball a little longer. But between that, protection breakdowns, receivers who don’t always win routes and Griffin sometimes hesitating when players are open, the hits add up. For him to have a long career in the NFL, he and the Redskins must continue finding a way to limit those hits. JACKSONVILLE, Fla. -- Houston receiver Andre Johnson is third in the NFL with 82 receptions. The Jaguars are only responsible for two. Johnson managed just two catches for 36 yards in the Jaguars' 13-6 victory over the Texans in Houston on Nov. 24. That success, however, doesn't mean anything when the teams meet again on Thursday night at EverBank Field. "You definitely throw it out," cornerback Dwayne Gratz said. "You feel good about it for a little bit but it's a new game. He has more chances to go out there and make plays, so we've still got to do our job." The Jaguars limited Johnson by making sure they knew where he was at all times. They play almost exclusively man coverage and cornerback Alan Ball drew Johnson most of the game. He was rarely alone, though. He had safety help over the top and a player without coverage responsibilities sliding over to help on shorter routes. Another factor was the pass rush. The Jaguars got good pressure on Case Keenum, sacking him twice and hitting him five other times. They also broke up nine passes, including a big hit on Johnson by safety Winston Guy. All Johnson could manage was a 15-yard catch on third-and-6 early in the third quarter and a 21-yarder on third-and-4 on the Texans' final drive. "I think the first meeting they came in and had a great plan defensively and they did a great job of executing," Johnson said. "You have to give them credit. … I think when we played them last time we never got into rhythm as an offense." Ball said the Jaguars will change some of the things they did in coverage because it would be foolish to expect the same things to work again. The Texans will obviously make adjustments to get Johnson more involved, too, like he was against New England last Sunday when he caught eight passes for 121yards. But the thing that will stay the same is making the linebackers and defensive backs know where Johnson is at every moment. "We're just going to go out and execute like it's the first time we're playing them and come with a new game plan and new strategy for just trying to limit his touches and limit his effectiveness," Ball said. "We know they're going to try to get him the ball. He's coming off a strong week last week so we expect carryover from that. "But everybody on the defense has to be aware of where he's at and know how they're trying to attack you with his alignment. I think everybody needs to be on the same page and focused in on that." Ed Reed is one of the most successful safeties in NFL history, but he still has not participated in a victory this season. This is not all his fault, of course. The Houston Texans had many flaws that resulted in them going 0-7 after Reed missed the first two games while recovering from offseason hip surgery. The Texans have lost 10 straight since a 2-0 start. Houston released Reed after the seven-game skid, and the Jets signed him. They are 0-3 since Reed reunited with coach Rex Ryan, who was his defensive coordinator from 2005-08 in Baltimore. The Jets’ miserable offense is the main reason why they have dropped three straight and find themselves at 5-7, with their playoff hopes fading as they prepare for Sunday’s home game against Oakland. But Reed, a future Hall of Famer, has yet to make a major difference in the secondary, which had issues before he arrived, and still has them — particularly with the play of cornerback Dee Milliner, the Jets’ top draft pick this year. In Sunday’s 23-3 loss to Miami, the 35-year-old Reed whiffed on a tackle after receiver Brian Hartline caught a pass. Hartline scooted into the end zone for a 31-yard touchdown. Dolphins QB Ryan Tannehill completed 28 of 43 passes for 331 yards, two touchdowns and an interception. A week earlier, Baltimore’s Joe Flacco went 17 of 26 for 273 yards, a TD and a pick. In Reed’s first game, rookie EJ Manuel was 20 of 28 for 245 yards and two touchdowns. Reed does not entirely deserve blame for the Jets’ pass defense struggles, though despite his major role since arriving, he has apparently done little to improve a secondary that ranks 25th in the NFL with 256.8 passing yards allowed per game. 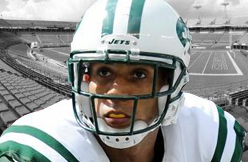 Ryan immediately started Reed in his Jets debut at Buffalo, where he played all but eight snaps. He played all but two at Baltimore and all but eight against Miami. Antonio Allen had been starting alongside Dawan Landry, but in the past three games, Allen played three, 12 and nine snaps. Allen did an admirable job covering elite tight ends Rob Gronkowski of the Patriots and Jimmy Graham of the Saints earlier this season, as the Jets won both games. But Ryan has said Reed is a better deep safety, while Allen is more effective closer to the line, partly because he was an outside linebacker in college. Reed does not have an interception as a Jet. The secondary has just five all year — three by cornerback Antonio Cromartie and one each by Landry and Allen, who returned his for a touchdown against New England. Yet Ryan said he will continue to start Reed over Allen, unless Reed gets hurt, "because I think Ed gives us the best shot." "We all saw him miss the tackle on Hartline’s touchdown," Ryan said. "But Ed did his job. I don’t think there’s any doubt. It starts with communication. I thought he did a good job communicating. The ball did not get thrown over us. But again, we weren’t successful, for sure." Though the Jets did not allow any deep-ball completions against the Dolphins — a bugaboo all season — tackling was the problem in the secondary this time. Milliner missed a tackle on Mike Wallace’s catch and run that resulted in a 28-yard touchdown, and in Milliner being benched for the third time this season. After his first benching, Milliner did not start in Week 3 against Buffalo. He immediately returned to the starting lineup after being benched in Week 8 at the Bengals. Ryan would not say if Milliner will start Sunday against Oakland. Jimmy Graham caught three passes for 42 yards and one touchdown in Week 13 against the Seahawks. Graham saw a team-high nine targets. He could have had a much bigger night had he been able to hold onto a couple passes that he took big hits on. Either way, Graham still led the Saints in receiving in a game which Drew Brees passed for just 174 yards on 38 attempts. Graham had the two biggest gains of the night. His touchdown came from two yards out in between three defenders. At the season's three-quarter pole, Graham is on pace to catch 90 passes for 1,317 yards and 16 touchdowns. He's an every-week top-two tight end. 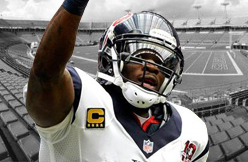 Andre Johnson is now the second-fastest player in NFL history to reach 900 career receptions. Johnson was eight catches away from the career milestone heading into Sunday's game against New England reached 900 with his final catch of the game, a 15-yard catch in the fourth quarter. "It's big," Johnson said after the game. 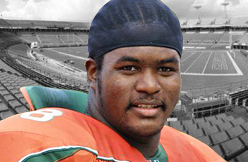 "You play this game and have a childhood dream of just making it to the NFL. I never came into the NFL saying that I wanted to have 900 catches. I just said that I wanted to be a good football player. It's humbling. It just shows that the work you put into the game is paying off." 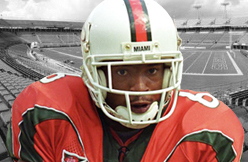 Johnson recorded 900 career receptions in 150 games. He is second behind only Marvin Harrison, the fastest player to do so, who reached 900 catches in just 149 games. "I was able to get to see Marvin a lot because we played in the same division," Johnson said. "He's one of my favorite guys to watch play. To be in a class with him is a great feeling." Rookie DeAndre Hopkins, who called the achievement "unbelievable," commended the All-Pro veteran on his ability to make big plays each week. "The guy is a true leader on and off the field," Hopkins said. "I look up to him. Even when I wasn't playing for the Texans, he was my favorite player so it is an honor to be right next to him." Johnson caught eight passes for 121 yards in Sunday's 34-31 loss to New England. He currently leads the Texans with 1123 receiving and five touchdowns through 12 games. Veteran offensive lineman Rashad Butler, signed Saturday to provide depth along the Steelers’ injury-riddled offensive line, left the team this morning citing personal reasons. Butler was added to the roster this past weekend after Kelvin Beachum and Mike Adams were injured Thursday night in the loss to the Ravens. 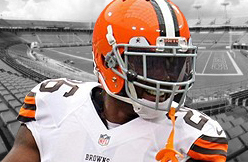 Butler most recently played with the Browns before being released in early November. He played in 50 career games with the Texans and Browns. The Steelers could look to add another veteran tackle to the mix this week before they play the Dolphins. 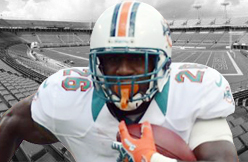 The Dolphins went with Lamar Miller to supply most of their ground attack Sunday. He gained 72 yards on a season-high 22 carries, but that actually tied for the most rushing yards the Jets had allowed to any back all season. With Daniel Thomas sidelined, the young and explosive Miller will most likely continue to get a large number of carries. And that's a scenario that apparently never entered the imagination of offensive coordinator Mike Sherman. From the Miami Herald's Barry Jackson on Monday: "Sherman said he and (head coach Joe) Philbin have never discussed what Lamar Miller might be able to do with more carries." In his only two other games this season with more than 14 carries, Miller rushed for 89 and 105 yards. He is averaging 4.9 yards per carry. There are so many things about this offense that makes you want to smash your head into a wall -- Ryan Tannehill inexplicably underthrowing receivers consistently; Mike Wallace 's poor play; the offensive line's woes and overwhelming drama; the play calling in general -- but that quote is the most frustrating and tells you a lot about the 2013 Dolphins. Their coaches have done an incredibly poor job of getting their best offensive players regularly involved. The silver lining to all of this is that Thomas may not play again this season, leaving Sherman pretty much no choice but to ride Miller. He has some favorable matchups against the Steelers, Patriots, and Bills. Miller could give your team quite an unexpected boost during the playoffs. That is unless Sherman or Philbin wants Mike Gillislee or Marcus Thigpen to handle the rock more often. If that happens, I quit. The Browns running back had his second best game of the season Sunday. We break down the fantasy implications. Running back Willis McGahee had played nine games with the Cleveland Browns entering Sunday. He had scored four or fewer fantasy points in eight of them, with the lone bright spot being an outing with 72 yards and a touchdown in Week 5 against the Buffalo Bills. Sunday, McGahee found his way back to the right side of the ledger, with a relatively big game in the Browns' 32-28 loss to the Jacksonville Jaguars. McGahee rushed the ball 14 times for 57 yards Sunday, his second-highest rushing total of the season and, at 4.1 yards per carry, his highest average of the season. He also scored a touchdown, his first since that big Week 5 game. To cap it off, McGahee added a season-high 14 receiving yards on two catches in the game. Chris Ogbonnaya, who had been seeing increased touches with McGahee's struggles, has gone the other way in recent weeks after some fumbling problems. He had only seven carries for 20 rushing yards, and only two catches for 14 receiving yards. Fantasy impact: McGahee has been pretty decisively terrible as a Brown, with little indication there is anything resembling a top-flight NFL running back left in him. This was a nice bounce-back, but fantasy owners will need to see more, maybe much more, before he even becomes a week-to-week flex play. On the other side of the coin, Ogbonnaya, who had started looking like a low-end flex play with PPR potential, can now safely be dropped in all leagues. Earlier in the day, the A’s signed starter Scott Kazmir to a two-year deal worth $22 million, and this evening, the team completed a trade that sent onetime starting second baseman Jemile Weeks and a player to be named to Baltimore for Jim Johnson, who has led the majors in saves in each of the past two seasons. Both moves hammer home the fact that the A’s won’t be bringing back their own free-agent All-Stars, starter Bartolo Colon and closer Grant Balfour. Johnson, who saved 50 games last season and 51 the previous year, is arbitration-eligible and the 30-year-old is expected to earn $10 million plus in 2014. The 2012 All-Star will be a free agent after the season. 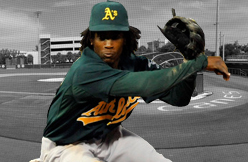 Weeks, 24, had a standout rookie year in 2011, batting .303 with 26 doubles, 36 RBIs and 22 steals in 97 games but he never regained that form the following season, was sent down late in 2012 and he did not appear to be in the A’s plans thereafter. He was the team’s first-round pick in the 2008 draft. The player to be named will not come off the A’s 40-man roster. What will become of Jon Jay? 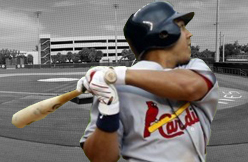 What will become of incumbent CF Jon Jay? * To retain Jay for 2014, Cards management will have to pay Jay between $3 million and $3.5 million next season. (The price is pumped up by the traditional, institutional, arbitration-years salary boost.) That's good money for a player that might be a fourth or even fifth oufielder. And after all, GM John Mozeliak was reluctant to pay 3B David Freese $4 million-plus for a part-time role in 2014, and moved him to Anaheim in the Bourjos deal. Is Mozeliak looking to trade Jay? Don't rule it out. But that's based on other variables, including Taveras' status as he rehabs from ankle surgery. More on that later. * Then we have manager Mike Matheny warning reporters that it would be unwise to assume that Bourjos will start in center. This would qualify as major news to Mozeliak, who made the trade for a reason: to significantly enhance this team's dreadful outfield defense. And Bourjos, when healthy, arguably has the best CF glove in baseball. Jay was among the worst center fielders in the majors last season, with minus 10 defensive runs saved according to Bill James online. The Cardinals need a rangy sweeper in center to cover for the limited defensive range in left and right. * Matheny's pledge to throw the job open to competition is a contradiction. He increasingly benched Jay in favor of Shane Robinson when the Cardinals encountered LH starting pitching late in the season. From Aug. 1 through the end of the World Series, Jay had 60 plate appearances vs. lefties; Robinson had 47. And their number of PA vs. lefties was the same from Sept. 1 until the conclusion of the postseason. I think Matheny is being a nice guy here. * Unless, of course, the Cardinals are strongly considering a platoon in center field. That would mean the LH-swinging Jay vs. RH pitchers, and the RH-swinging Bourjos vs. lefthanded pitching. But again, that's highly unlikely for multiple reasons including these two: (1) there are many more RH pitchers than LH pitchers. As a point of reference the 2013 Cardinals had 4,589 plate appearances vs. RHP and 1,613 vs. LHP. It makes no sense to trade for Bourjos and have him parked on the bench as a nominal platoon piece. You don't improve your outfield defense with Bourjos in the dugout. And (2) Bourjous hasn't hit LHP very well, anyway. That's another reason why it makes little sense to go with a platoon-heavy arrangement. * And if the Cardinals wish to give a LH-hitting outfielder at-bats against RH pitching, I'd imagine they'd be inclined to distribute them to Taveras. The Cardinals say Taveras will be healthy and ready to go when the spring-training games begin. (They'll be able to reaffirm that after giving Taveras an extensive inspection later this month.) So if Taveras is ready to roll, wouldn't it make sense to give him his share of at-bats as a center fielder? You wouldn't have Taveras on the big club unless you can give him enough plate appearances to expedite his development. I talked to Mozeliak about this, and he said the club's preference is to have Taveras on the opening-day roster — but the team can't rule out a return to the minors, at least for the start of the season. * If Taveras sticks at the start, I would think the goal would be to get Taveras as much playing time as the Cardinals gave rookie 1B Matt Adams in 2013. We're talking 350 plate appearances or so. And that can be done by (A) playing Taveras in center when Bourjos is scheduled for days off, is slumping, or banged up; (B) playing Taveras in RF when Allen Craig needs a day off or is nursing a minor injury; (C ) playing Taveras in RF when Adams sits, with Craig starting at first base; (D) playing Taveras in LF on Matt Holliday's off days. If you don't think this is likely, please consider: the Cardinals managed to get 382 plate appearances for Adams last season, and Adams plays only one position. Taveras can play all three OF spots, so getting him 350+ PA shouldn't be an issue. * Before we write Jay off, let's remember that he does have some offensive value. In 1,491 career plate appearances vs. righthanded pitching Jay has batted .300 with a .360 onbase percentage and .417 slugging percentage. Jay was in the range of that career standard in 2013 when he hit .291 with a .363 onbase percentage and a .386 SLG vs. righthanders. You don't get much home-run wattage from Jay, which is a minus. But he does get on base against RH pitchers, and that could be useful as the Cardinals strive to have a deeper more versatile bench in 2014. * Jay also would provide potentially valuable insurance. And that's a key consideration for several reasons. Bourjos has a history of injury problems. So does Craig. And not only is Taveras is coming off ankle surgery, but he's unproven as a center fielder. Taveras projects, long-term as a corner outfielder. * If Bourjos gets hurt, would the Cardinals be willing to go all-in with Taveras in center? 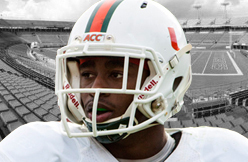 Would they be willing to commit to Shane Robinson in center? I'm not sure how Mozeliak feels about that. But if Bourjos is sidelined, you certainly could envision a scenario that has Taveras starting in center, with Robinson starting some games or being used extensively as a defensive replacement when the Cardinals want to protect late-inning leads. It's difficult to find an easy, snap-into-place answer to the Jon Jay query. The Cardinals also have other young outfielders on the way to the majors, though at the moment there's no compelling reason to rush Stephen Piscotty, James Ramsey or Randal Grichuk here in '14. The possibilities are all over the outfield map. Make no mistake: The GM traded for a player with the clear goal of going in a different direction in center field. But the manager says Jay still has a chance to be a starter. Depending on who you believe, Jay could play a lot, or hardly at all. Jay's presence, at $3 million or so, could be an unnecessary extravagance. But his presence could be vital in the event of injuries; after all this team has won two NL pennants, a World Series and made it to the postseason with Jay as its starting center fielder from 2011-2013. Or Jay could be relocated in a trade. My best guess is that the Cardinals will hedge their bet on Bourjos and keep Jay around. But how he'd be used is undetermined, and largely dependent on the injury factor and the prominence of the Taveras role in 2014. We have solved nothing here today, but this does make for a good baseball discussion. As always, your comments and suggestions are welcome. 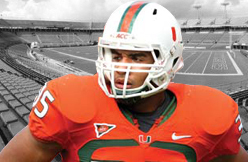 Olivier Vernon, the second-year player from the University of Miami, had 2.5 sacks and 10 tackles Sunday. He now leads the team with 10 sacks for the season. Vernon sacked Jets quarterback Geno Smith on the first play from scrimmage, and sacked backup quarterback Matt Simms twice in the fourth quarter. Not bad for a guy who was supposed to be a backup to Jordan. Apparently that was a bit of motivation for Vernon. "The offseason was big for me," said the third-round pick in 2012. "I was working on everything I needed to work on." The Tennessee Titans signed veteran safety Shann Schillinger, added C/G Tyler Horn to the practice squad and waived OL Oscar Johnson from the practice squad. Horn (6-4, 305) is returning to the Titans for his second stint on the Titans practice squad. He joined the Titans practice squad last October and remained with the team through the end of the season. He then signed with the Houston Texans and was waived at the end of training camp. 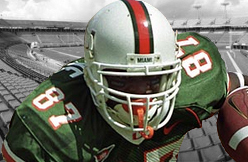 Horn played college football at Miami (Fla.). The Patriots announced Thursday they have re-signed defensive lineman Marcus Forston and defensive back Justin Green to the practice squad. Both players were released by the Patriots on Tuesday. Forston, 24, was signed to the 53-man roster from the practice squad on Oct. 12, the day before the New Orleans game. He has played in three games as a reserve and registered three total tackles. 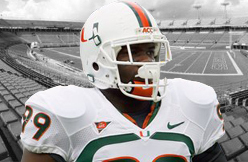 Forston was originally signed by the Patriots as a rookie free agent on May 10, 2012 out of Miami. The 6-foot-3, 305-pounder made the 53-man roster of training camp as a rookie but was released early in the season and brought back to the practice squad, where he spent the majority of the season. He eventually re-joined the 53-man roster prior to the AFC Championship Game but was inactive for the contest. Forston made his NFL debut as a defensive reserve at Baltimore on Sept. 23, 2012. He went to training camp with the Patriots this past summer but was released on Aug. 31 and signed to the practice squad on Sept. 1. Bryant McKinnie and the Dolphins agreed to void the final year of the two-year, $6.3 million contract he initially signed with the Baltimore Ravens this past offseason. "That was part of the agreement we made," McKinnie said addressing the conditions of the trade, which McKinnie admits he sought, and his agent helped broker. Who wanted to void the final year? According to McKinnie, both sides wanted to make him a rental for the final 10 games of 2013. 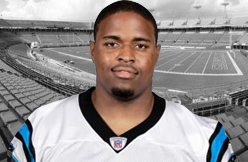 "Play well and become a free agent again," said McKinnie, a former UM standout who is concluding his 12th NFL season. McKinnie, who has started the past five games at left tackle for the Dolphins, was guaranteed $2 million for this season and earns $588,235 in base salary. He was slated to earn a base salary of $2 million in 2014, which included a $500,000 roster bonus if he made it out of training camp. Now he'll become an unrestricted free agent. If the Dolphins had released McKinnie instead of reworking the contract ,Miami would have accrued $1 million in dead money. That concern is now gone. Now that McKinnie is slated to become a free agent in 2014, the only returning offensive line starters under contract moving forward will be center Mike Pouncey and offensive tackle Jonathan Martin, who has been away from the team for a month because of claims the Dolphins created a hostile working environment. While Martin's attorney, David Cornwell, claims his client wants to continue his NFL career, there is doubt Martin wants to do it with the Dolphins. McKinnie ($2 million), Richie Incognito ($4.2 million), John Jerry ($755,000) and Tyson Clabo ($3.5 million) are all playing on the final year of their existing contracts. Jon Beason had 17 tackles in Sunday's game against the Redskins. Beason had a monstrous game in the tackle column, 13 of his 17 combined tackles being solo. He is a solid IDP option with performances of this variety being a worthwhile starting option. 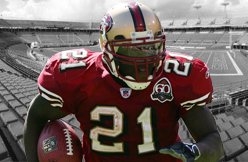 Willis McGahee rushed for 57 yards and one touchdown on 14 carries in Week 13 against the Jaguars. McGahee caught both of his targets in the passing game for another 14 yards. It was just the second time all season that McGahee has rushed for over 46 yards. His touchdown came from one yard out and was his second of the season. McGahee has both of the Browns' rushing scores on the year. After playing just seven snaps last week, McGahee was the lead dog in this one. He still is barely on the fantasy radar. His goal-line looks keep him alive. After four touchdowns in the previous five games, Carolina Panthers tight end Greg Olsen was held out of the end zone Sunday. The tight end still tallied decent fantasy production, though, as he set a season high in yardage as the Panthers beat the Tampa Bay Buccaneers, 27-6. Olsen caught five passes for 85 yards, one higher than his previous season high of 84 yards in Week 2. The tight end now has 611 yards and five touchdowns on 50 catches this season, and has at least eight fantasy points in five of his last six games. Other than Olsen, no one on the Panthers did a lot in the receiving game. Ted Ginn Jr. and Brandon LaFell each caught touchdown passes, but combined for only five catches and 83 yards, neither doing much outside of those scores. Veteran wide receiver Steve Smith was the yardage leader among wide receivers, but still had only 51 yards on three receptions. Fantasy impact: Olsen has increasingly proven to be the best -- and, in shallow leagues, only -- fantasy option on the Panthers among the flex players (running backs, wide receivers, tight ends). The running backs -- DeAngelo Williams, Jonathan Stewart, Mike Tolbert -- battle each other and quarterback Cam Newton for touches too much for any single running back to be fantasy effective, and the wide receivers have the same problem with the added "bonus" of being by and large very mediocre. 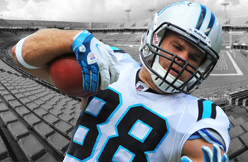 Olsen, though, is the team's only real tight end option, and has solidified his TE1 status this season. When Devin Hester was at his best as the most dangerous kick returner in NFL history, every special-teams player made an extra effort to avoid penalties, knowing how dearly it might cost the team. But they’re losing their touch. Craig Steltz’s holding penalty that nullified Hester’s 62-yard punt return for a touchdown against the Rams was the Bears’ fifth penalty this season on a Hester punt return and 13th in the last two seasons. (The Bears committed 16 penalties on Hester punt returns in his first six seasons.) The Bears have committed penalties on 13 kickoff returns by Hester in his career, including Khaseem Greene’s holding penalty Sunday. Steltz took the blame for his penalty, when he took down linebacker Daren Bates at the line of scrimmage. ‘‘You’ve got to let him go to the ground. You can’t go to the ground with him,’’ Steltz said. That was the fourth time in Hester’s eight-year career that he has had a touchdown return nullified by penalty. The Bears won the first three, including a playoff game against the Seahawks. Hester also has had 64-yard punt return (2007 vs. the Raiders) and a 48-yard kickoff return (2008 vs. the Packers) that did not result in scores nullified by penalty. The Bears have committed 15 penalties on special teams this season. It’s hard to ignore the impact Bruce Arians — the runner-up to Marc Trestman in the Bears’ coaching search in January — is having with the Arizona Cardinals. After a convincing 40-11 rout of the Indianapolis Colts on Sunday, the Cardinals are 7-4 with four consecutive victories. It probably didn’t hurt that Arians was the offensive coordinator and head coach of the Colts last season. It’s just the Bears’ luck that they don’t play the Montreal Alouettes this year. After a slow start, Arians has given the Cardinals’ offense an expected boost as the team has scored at least 27 points in its last four games. Larry Fitzgerald (50 receptions, 606 yards, eight touchdowns) and second-year wide receiver Michael Floyd (49-761, three touchdowns) are giving the Cardinals a 1-2 punch that rivals the Bears’ tandem of Brandon Marshall and Alshon Jeffery. In his last two games, Floyd has had six catches for 193 yards against the Jaguars and seven for 104 against the Colts. Fitzgerald’s eight touchdowns are double his 2012 production. After a slow start, 34-year-old Carson Palmer is on a roll. His ratings during the streak (eight touchdowns, two interceptions) were 116.0, 93.4, 119.0 and 114.0. But it’s on defense where Arians has what Marc Trestman does not. The Cardinals are not only getting Pro Bowl-worthy seasons from defensive end Calais Campbell, linebacker Karlos Dansby and cornerback Patrick Peterson, but they’ve also upgraded their lineup since Week 1 — adding linebackers John Abraham and Matt Shaughnessy, rookie safety Tyrann Mathieu, while linebacker Daryl Washington returned from a four-game suspension. Under defensive coordinator Todd Bowles, the Cardinals are eighth in the NFL in total defense, second in rushing defense and tied for fourth with 23 takeaways. They’ve allowed fewer rushing yards in their last four games (215 on 66 carries) than the Bears allowed against the Rams on Sunday (258). There’s still a long way to go. All Arians’ success means right now is that Bears general manager Phil Emery had the right guys at the top of his list. The possibility of Seattle Seahawks cornerback Richard Sherman guarding him Monday night is one of the major reasons why New Orleans Saints tight end Jimmy Graham spends more time these days watching film. That's because opponents are trying to implement anything they can to slow Graham. But for the most part, nothing has worked. Graham entered Week 13 tied for the league lead in touchdowns with Lions receiver Calvin Johnson, Seahawks running back Marshawn Lynch and Vikings running back Adrian Peterson. Graham has been by far the Saints' most prolific offensive weapon for Drew Brees this season. Graham said he's not sure if Sherman will defend him in one-on-one coverage Monday night when the Saints face the Seahawks. New England assigned its best corner, Aqib Talib, to Graham, who was held without a catch vs. the Patriots. But the way in which teams try to take Graham out of the Saints' offensive equation is more diverse than ever. Seahawks coach Pete Carroll wasn't dropping any hints as to how Seattle will defend Graham, but added, "We think he's a great player, and it's going to take everything we've got to try and slow him down. That doesn't mean you will, even when you're trying that hard." That's why Graham tries to plan for everything. "You definitely try to learn the tendencies," Graham said. "More or less me, I just look at it across the board and learn everyone's tendencies, everyone's weaknesses, everyone's strengths because there's many times in a game when I'll have any one of the corners or safeties or linebackers on me split out in the slot or at the tight end position. "For me, it's all around getting a feel for what everyone does best and try to use that to my advantage." Graham said only two games threw him off of what he anticipated in a defensive matchup: the second half of the Tampa Bay game in Week 2 when he was bracketed by two defenders and the majority of the game in New England when Talib defended him before leaving with an injury in the second half. Graham described Talib's coverage as "a guy who has no responsibilities but to really just hold me." But because of the way the Saints use him flexed out in formations in the role of a wide receiver, Graham said he finds himself studying players such as Calvin Johnson and the Texans' Andre Johnson to learn how they work their way through different coverages. "I feel like these days I could be split out and run my sluggos (slant-and-go routes) or my seam routes and there was no help behind them," Graham said. "But you'll see now even looks where a cover 1 where a safety will cheat over my way. "Safeties used to not pay attention to me, but now it looks like they're instantly sprinting back to cover the seam route." Saints coach Sean Payton said he pays a lot of attention to a team's game plan for Graham during the course of a game. "It's fairly common, and a lot of teams do this in the opening groups of plays," Payton said. "There's usually a mix of personnel to try and see (if) we are getting nickel or are we getting base and what are the matchups. I think that's pretty significant as to what we can gather early in the game and pay attention to how they're treating Darren Sproles or how they're treating certain personnel groupings." ATLANTA — Years from now when point guard Shane Larkin hangs up his basketball sneakers, he’ll likely remember a game-changing moment that occurred Monday against the Denver Nuggets. The Dallas Mavericks were getting hammered at the time 108-95. And with only 1:41 remaining, coach Rick Carlisle instructed Larkin and four other reserves to go into the game for mop-up duty, aka garbage time. 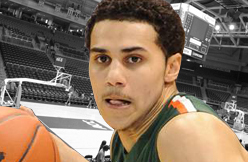 Garbage time was foreign territory for Larkin — a rookie from Miami who was the co-Atlantic Coast Conference Player of the year last season and the 18th overall pick in the 2013 NBA Draft. In college, Larkin was a polished second-team All-American who knew garbage time was reserved for the lesser-talented players. But in the NBA, Larkin quickly learned a valuable lesson. Earlier in the game against Denver, Larkin played 2 minutes, 37 seconds of uneventful basketball, scored no points, had no assists and turned the ball over once while going 0 of 1 from the field. In other words, he was a nonfactor who brought absolutely nothing to the table, and his pride took a hit afterward. Larkin responded to the garbage time Wednesday against the Golden State Warriors when he collected seven points, six assists, two rebounds, one steal and no turnovers in 17 minutes. He, in essence, was one of the sparks off the bench who helped the Mavericks take down the highly touted Warriors 103-99. “He played great,” Carlisle said. “He made a lot of things happen on offense, and defensively he was a factor coming up with loose ball plays. The speedy Larkin was motivated by his garbage-time appearance. Larkin has been playing catch-up ever since he fractured his right ankle on July 5 and underwent successful surgery on July 16. But he missed summer league, training camp and the first 10 games of the regular season before playing his first game Nov. 18 against Philadelphia. “You’ve got to think this is kind of like a training camp for him because he missed that,” forward Vince Carter said. “So we’re bringing him along in the fire. As the Mavericks (10-6) prepare to play the Atlanta Hawks (8-8) at 6:30 p.m. Friday at Philips Arena, they do so knowing Larkin received that subtle message from Carlisle loud and clear. “I’ve just got to get back to being the player I was in college, being aggressive all the time, looking to get into the lane, and if I have the floater, take the floater,” Larkin said. “And if I have the pass, make the pass. As noted earlier, Ryan Braun participated in a charity food drive today and afterward spoke to the media. The Milwaukee Journal-Sentinel has a transcript of his comments here. Have you apologized to Dino Laurenzi, Jr., or made any payments to him? The subject of Laurenzi – the man who collected the urine sample from Braun in 2011 and around whose handling of the sample Braun based his ultimately successful appeal — has long been one around which Braun-haters have rallied. It started when Braun made mention of Laurenzi — though not by name — at his spring 2012 press conference talking about the appeal of his drug suspension. Since then, people have accused Braun of ruining Laurenzi’s life, getting him fired, slandering him and number of other things which have served to destroy or harm the guy. And, to be clear: Braun was wrong to say anything public about Laurenzi at all. But the characterization of what Braun did to or even said about Laurenzi has been so far over the top that it has become laughable. People have equated Braun to Lance Armstrong, who actually sued people and had them fired for opposing his lies. They’ve suggested that Braun is legally liable to Laurenzi, when there is no rational basis for a defamation case as a result of what he said. They’ve said that Braun should pay the guy reparations of some non-specific sort. Penance for a man against whom Braun has sinned. It’s all been way too much. I think people did this because in Laurenzi they had a victim of sorts. Or thought they did. An actual person they could use to cast PED users’ transgressions in concrete and horrible terms. This was irresistible given how hard it is to argue about the often gray area ethics and morals of PED-use in sports and how hard it is to keep consistent when slamming some baseball players for cheating in one way but not slamming others for cheating in other ways. But a real human victim of an evil-doing steroid user? Who can argue against that? Well, It seems Laurenzi himself can. If Braun is right, the past is the past. If Laurenzi’s silence for the past couple of years is any indication, the whole situation, however unpleasant it may have been, was not the stuff of outrage and legal action. A jerk lied about him publicly, but his life went on. And now he has found it within himself to break bread with the guy and have dinner. Maybe that doesn’t satisfy everyone. Maybe we’ll hear commentary later today suspecting that Braun manipulated Laurenzi into helping Braun with a shameful P.R. offensive. For my part, though, I’m willing to say that this is all over if the people actually involved in it all are saying it. Embattled Brewers slugger Ryan Braun spoke Wednesday for the first time publicly since being suspended for the remainder (65 games) of the 2013 season, saying that he is "deeply remorseful" and continually expressing sorrow about the situation. Braun was in Milwaukee Wednesday to help the Hunger Task Force (via CBS58) collect food for needy families for this holiday season. During this collection, Braun took some time to answer questions about his situation. He wouldn't, however, answer specific questions about why he "lied about PED use" or other specific accusations. He instead just focused on broadly saying things like, "I regret it all." A major disclosure in the interview came when Braun said that he and his fiancee had dinner with Dino Lauranzi and his family Tuesday night. One might recall that Lauranzi is the sample collector who Braun initially successfully argued that Lauranzi had improperly handled his sample for drug testing and that's what caused the spike in testosterone levels. Braun noted the two families have "made amends" and have put the situation behind them. As for the press conference in spring training when Braun spoke out about his innocence, he did say he wishes he had never done that press conference and regrets having done so. He does, however, believe things can turn around. "I think a positive can arise from any situation," Braun said.